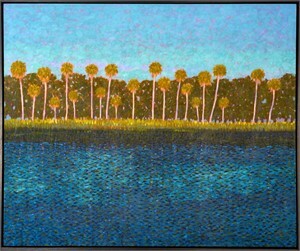 Gary’s solo exhibit of twenty eight large paintings, “Revealing The Soul: Painting From The Inside Out”, was shown in the spring of 2007, in the State Capitol Building, in Tallahassee, Florida. 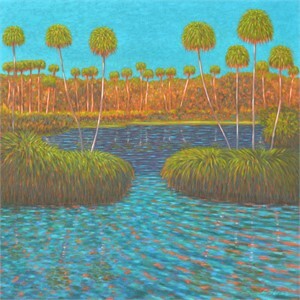 Many of the paintings in the exhibit have won awards, and appeared in the book, “The Best Artists and Artisans of Florida 2006″. 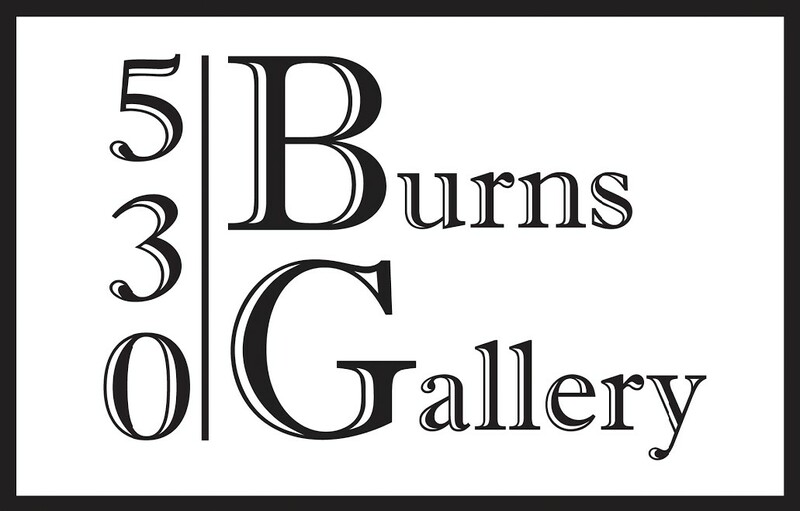 Over the years his work has appeared in museums, books, on magazine covers, exhibit announcement postcards, event posters and numerous magazine and newspaper articles. Gary was commissioned by the Florida International Festival 2007, in Daytona Beach, to create the 2007 festival poster for the London Symphony Orchestra. 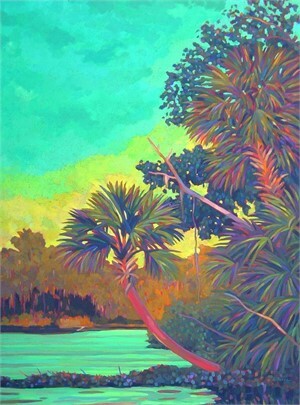 He has participated in many invitational, juried, and solo exhibits in museums, art centers and galleries, as well as plein air paintouts, throughout the State of Florida. 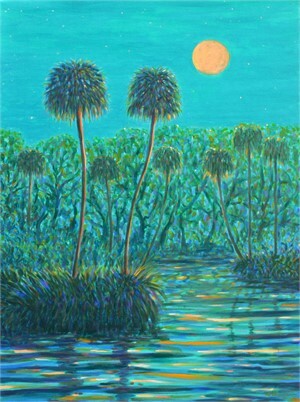 Other exhibits include the Florida Natural History Museum, where his solo exhibit “The Soul of the Florida Landscape”, was shown from June through November 2007. 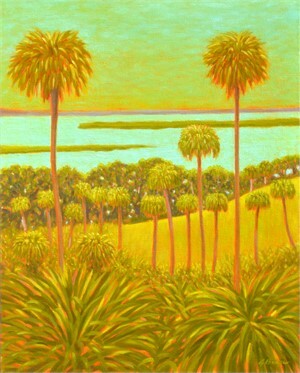 He was included in the Boca Raton Museum of Art’s “56th and 57th Annual All Florida Exhibits” in 2007 and 2008. 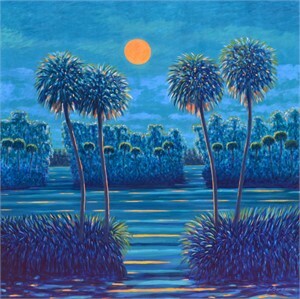 He participated in “The Heart Of Florida Paintout 2008″ in Gainesville, FL., Open Air Arts 2009, and 2010, in Melrose and his work was featured on the cover of the 2009 event guide. 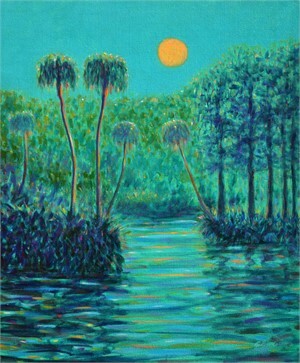 All featured artists contributed to the Conservation Trust for Florida, The Alachua Conservation Trust, and the Putnam County Environmental Council, in those regional paintout events. He has created public art as well as participated in fund raising activities, such as painting a violin for the Florida Orchestra and Tampa Bay Performing Arts Center. He has supported and works with The Conservation Trust for Florida, The Alachua Conservation Trust, and the Putnam County Environmental Council, in their efforts to save land from the developers, for the future generations in Florida. His articles on local and Florida environmental issues have been published in the newspapers. 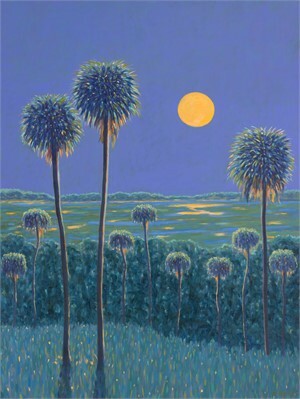 Upon the opening of his solo exhibit in 2004, the Gainesville Sun labeled Gary “a local treasure”. 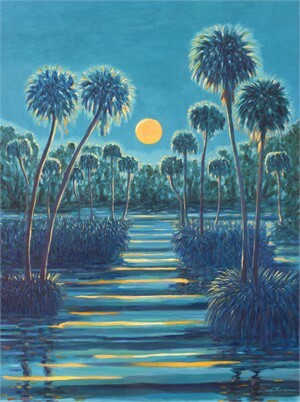 Many works are included in the State of Florida Permanent Art Collection, The University of Florida Collection, The Geiger-Percy Florida Collection, The Kwik King Corporate collection and many other prestigious private and corporate art collections nationwide. He is represented by Fine Art Galleries, Interior Designers (ASID), and Art Consultants throughout the Southeast United States. 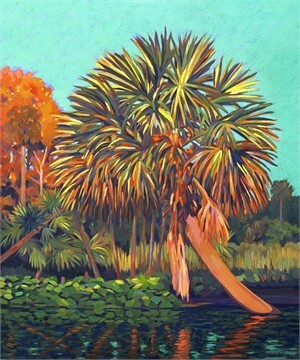 The Harn Museum of Art in Gainesville, Florida, has limited edition prints of works available for purchase. 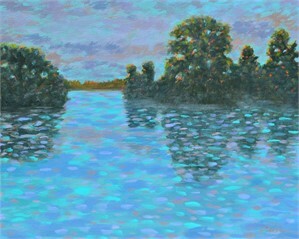 Gary was born in 1950 and has an Associates Degree in Commercial Art and Design from the Chicago Academy of Fine Arts. The Art Institute of Chicago played a vital role in his study and influences of Contemporary American and European Modern Art. He is also an accomplished musician, having performed rock, jazz and blues as a bassist and vocalist throughout his life. 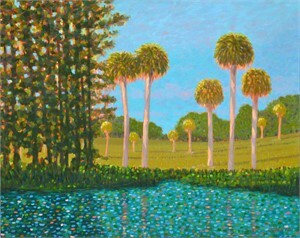 His studio and farm are in Fairfield, Florida, where he raises cattle and likes to ride his horses when he is not at the easel. 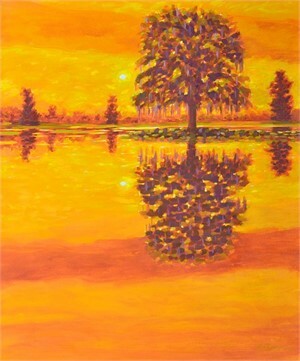 Gary’s solo exhibit of twenty eight large paintings, “Revealing The Soul: Painting From The Inside Out”, was shown in the spring of 2007, in the State Capitol Building, in Tallahassee, Florida. 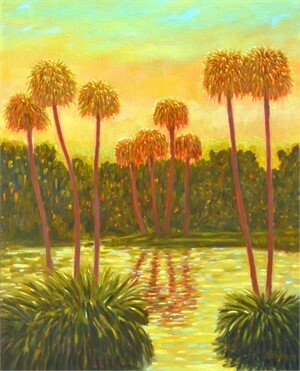 Many of the paintings in the exhibit have won awards, and appeared in the book, “The Best Artists and Artisans of Florida 2006″. Over the years his work has appeared in museums, books, on magazine covers, exhibit announcement postcards, event posters and numerous magazine and newspaper articles. Gary was commissioned by the Florida International Festival 2007, in Daytona Beach, to create the 2007 festival poster for the London Symphony Orchestra. 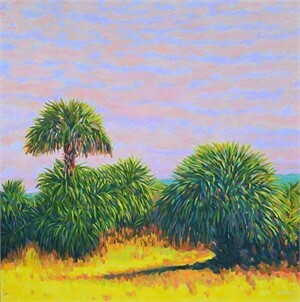 He has participated in many invitational, juried, and solo exhibits in museums, art centers and galleries, as well as plein air paintouts, throughout the State of Florida. 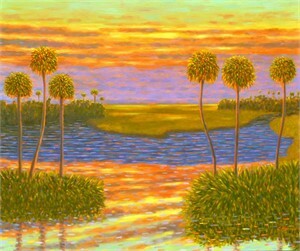 Other exhibits include the Florida Natural History Museum, where his solo exhibit “The Soul of the Florida Landscape”, was shown from June through November 2007. 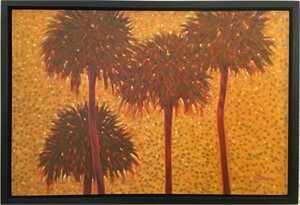 He was included in the Boca Raton Museum of Art’s “56th and 57th Annual All Florida Exhibits” in 2007 and 2008. 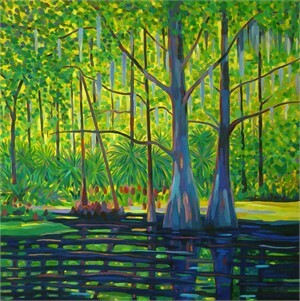 He participated in “The Heart Of Florida Paintout 2008″ in Gainesville, FL., Open Air Arts 2009, and 2010, in Melrose and his work was featured on the cover of the 2009 event guide. 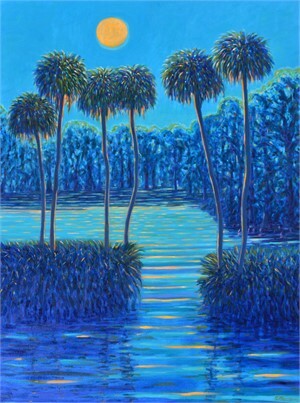 All featured artists contributed to the Conservation Trust for Florida, The Alachua Conservation Trust, and the Putnam County Environmental Council, in those regional paintout events. He has created public art as well as participated in fund raising activities, such as painting a violin for the Florida Orchestra and Tampa Bay Performing Arts Center. He has supported and works with The Conservation Trust for Florida, The Alachua Conservation Trust, and the Putnam County Environmental Council, in their efforts to save land from the developers, for the future generations in Florida. His articles on local and Florida environmental issues have been published in the newspapers. 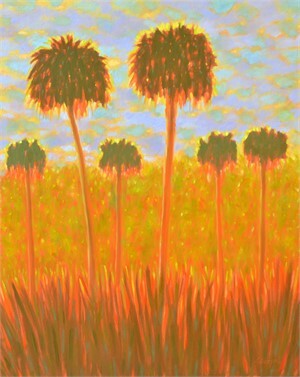 Upon the opening of his solo exhibit in 2004, the Gainesville Sun labeled Gary “a local treasure”. 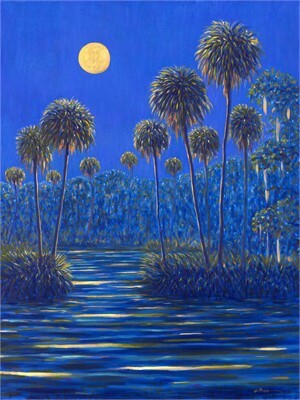 Many works are included in the State of Florida Permanent Art Collection, The University of Florida Collection, The Geiger-Percy Florida Collection, The Kwik King Corporate collection and many other prestigious private and corporate art collections nationwide. He is represented by Fine Art Galleries, Interior Designers (ASID), and Art Consultants throughout the Southeast United States. 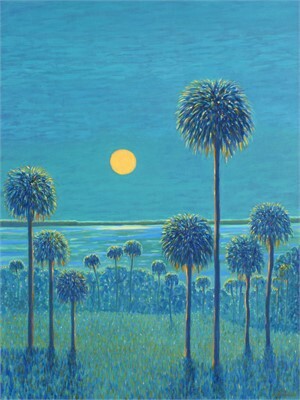 The Harn Museum of Art in Gainesville, Florida, has limited edition prints of works available for purchase. Gary was born in 1950 and has an Associates Degree in Commercial Art and Design from the Chicago Academy of Fine Arts. The Art Institute of Chicago played a vital role in his study and influences of Contemporary American and European Modern Art. He is also an accomplished musician, having performed rock, jazz and blues as a bassist and vocalist throughout his life. 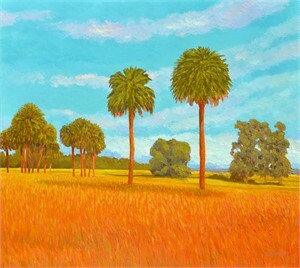 His studio and farm are in Fairfield, Florida, where he raises cattle and likes to ride his horses when he is not at the easel.